A secluded realm in the mountains. In the city of Quicksilver, the gates have been closed at noon for 4 and a half centuries. But a knight clad in black broke the dreaded custom today. Yet every man, woman and child, knows that no one must cross the city gates at the hour of the dead. The ancient Prophecy has warned for centuries. The guards close in to arrest the stranger; he gets rid of them. What if he were the man of the Prophecy, the one who will bring upheaval and war? But to avoid the Prophecy, those who trespass quickly end up on the gallows or their head on the block. And with the many men-at-arms inside the walls, the stranger will not leave the city alive. They will arrest him, for sure. 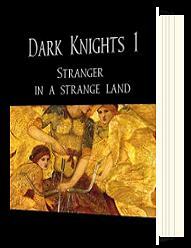 Little known to everyone, Orders of Dark Knights have seized power in the shadows, and decide the fate of kingdoms. 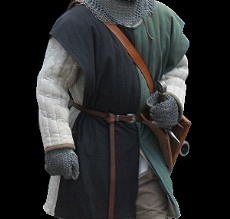 Set in a vivid medieval word, comes an intense story of knights with cold blood and steel nerves, secrets and dark pasts, a historical thriller with a tight plot, displaying conspiracies, deceit and desperate action against the odds. The riveting Dark Knights Saga, with its unexpected twists and turns… compels to turn the pages with a lingering question: what will happen next? Yet there's nothing innocent about them, for the Orders of dark knights are the real power in the shadows, « the hand that rules behind the thrones ». The hour of the dead has chimed. 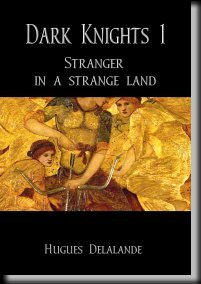 Dark knights, Stranger in a strange land, is a very strong liquor if you enjoy thrillers, historical novels, or escapist fiction.